Automatic Owner Financing 10% down, balance amortized monthly over 20 years at 7½% interest per annum. Monthly payments $402.80 plus co-op fee. New Lots Priced from $55,000. 4 Miles from Ocean City, MD. Beaches also in West Ocean City. Financing is available from developer. 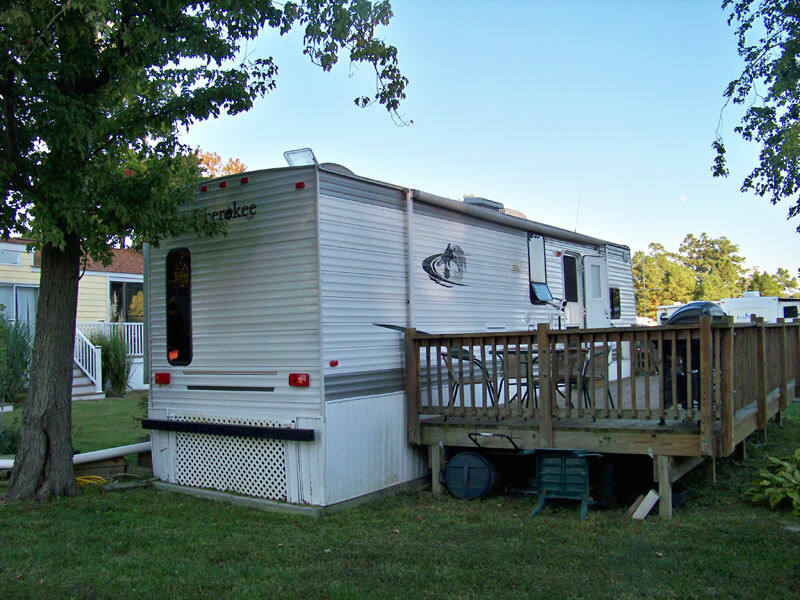 Resale lots are lots that are owned by individual people who bought several years ago and now offer there lot for sale. Most of these lots have an existing loan that is assumable by the new buyer. The amount of the existing loan varies from approximately 50% to 80% of the new purchase price. Therefore your down payment will be from 20 to 50% of the purchase price. Several local banks offer new financing with a down payment of approximately 30% with the interest rate predicated upan a lsightly higher than normal market rates. Taylor Bank and Bank of Ocean City have been providing loans for co-op developments like Balihi Park. 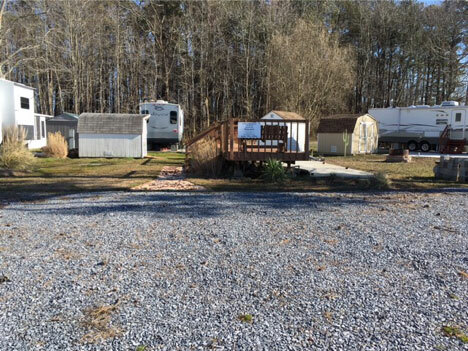 For sale or rent - permitted and landscaped - includes approx 65x50 fema pad, raised deck, large graveled parking area and storage shed. 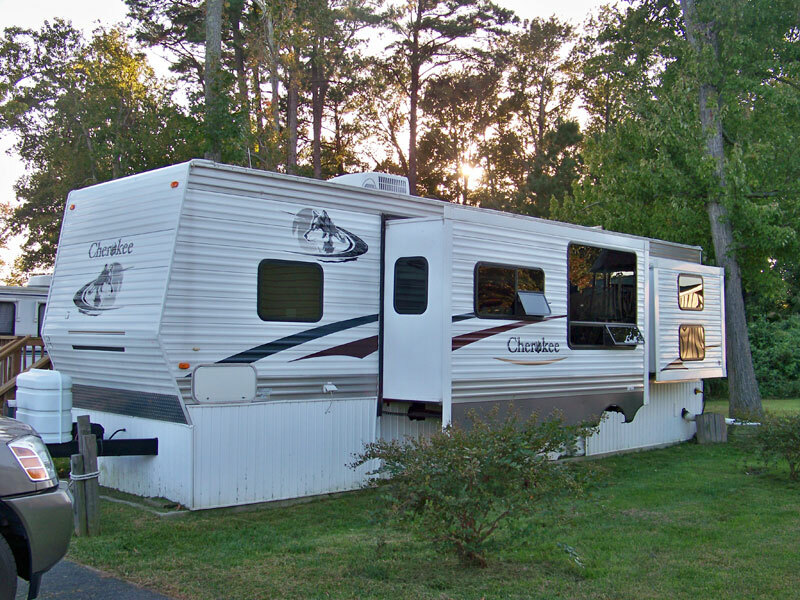 2005 Cherokee 31z+ travel trailer. Master Bedroom has queen size bed. Ceiling fan, tv stand, plenty of over head and cabinet storage. Kids bedroom has top bunk-single mattress. Bottom bunk is double mattress that converts to futon-like couch. Kids bedroom has extra storage and entertainment center cabinet. 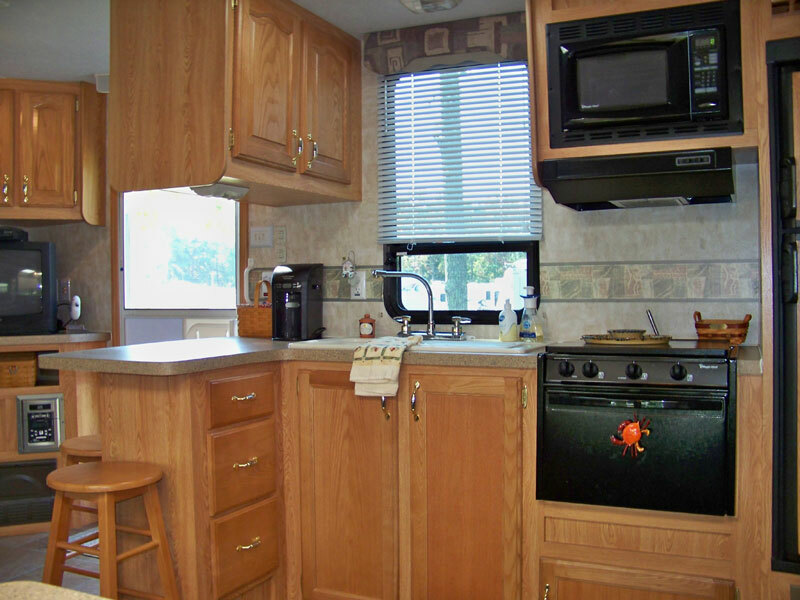 Kitchen has 4 burner stove w/ oven. 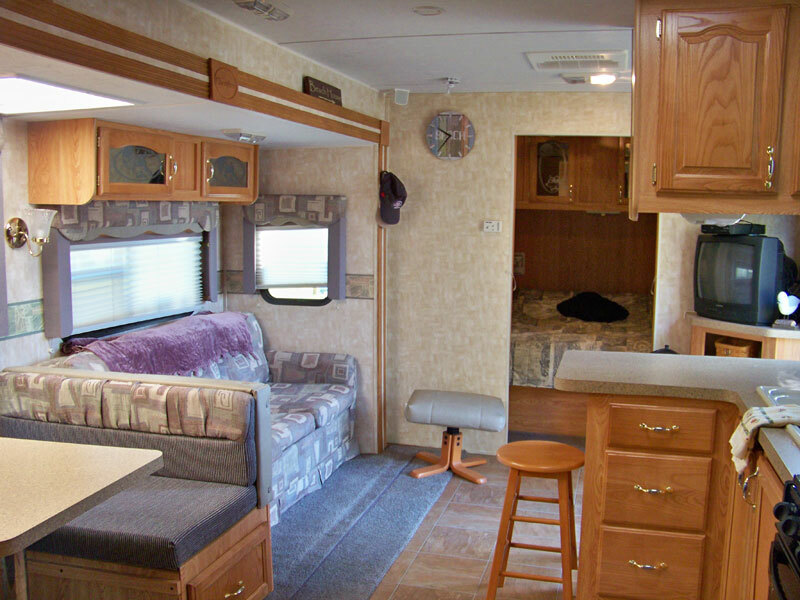 Fridge, double sink, breakfast bar, overhead storage, seating area for four. Living Room, Couch with ottoman and large TV cabinet. Large deck, Great for grilling out and entertaining.